Get involved in our turtle conservation program and name your own turtle! Any snorkeler or diver on the Gili islands will tell you that there are loads of turtles here. 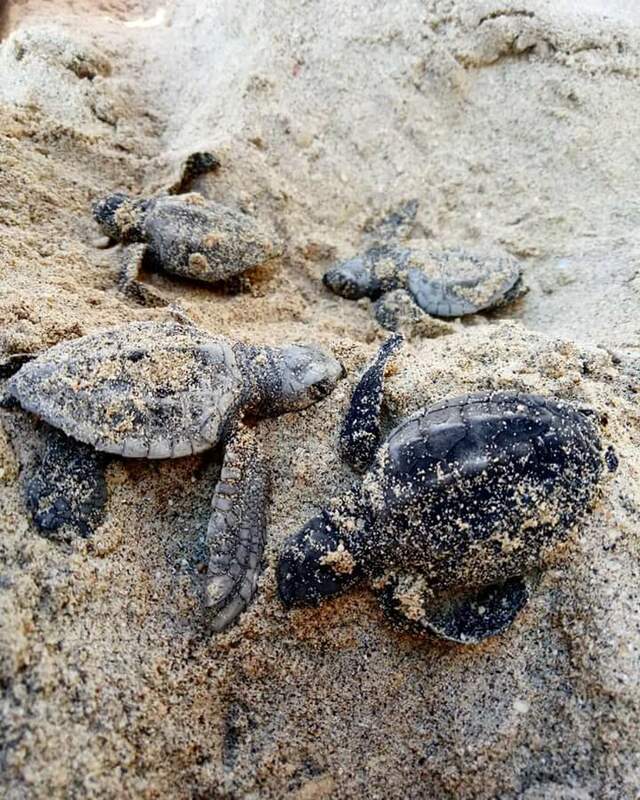 The Gilis are home to many Green Turtles and Hawksbill Turtles which have been listed as endangered and critically endangered respectively, by the IUCN Red List. Although we are called the Gili Shark Conservation, we are also studying marine conservation in general. Turtles are a very big aspect of our research because of their economic and ecological roles on the islands. Effective marine conservation for threatened species relies heavily on information about that species and its population. This includes abundance and distribution of individuals and life history. In the past, this information has been collected using a capture-mark-recapture technique. HOW DOES THE CAPTURE-MARK-RECAPTURE TECHNIQUE WORK? A part of the population of turtles is captured, marked, and released. Later, another part of the population of turtles is captured and they count the number of turtles that have been marked. 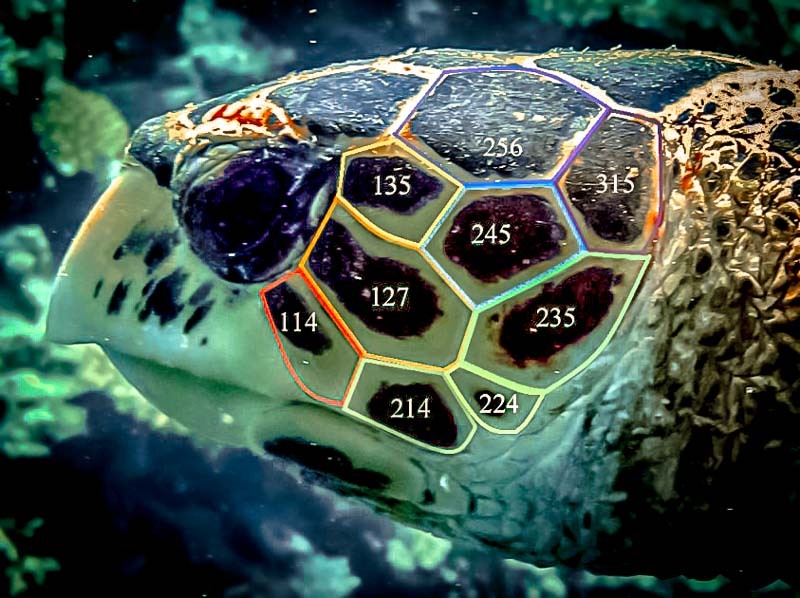 The number of marked turtles within the second sample should be proportional to the number of marked turtles in the whole population. You can estimate the total population by dividing the number of marked turtles by the proportion of marked turtles in the second sample. This method is a fairly invasive method and has quite a few disadvantages. However, with the invention of the GoPro most divers now have access to easy to use underwater cameras which we can use to track our turtle populations in a none invasive way. Did you know that each side profile of the face of a turtle is unique and can be used like fingerprints to ID them? The photo identification method has many advantages over tagging methods as its low cost and doesn’t directly affect the target species. While the ID itself can be time consuming the development of computer software makes it easy and accessible at home. HOW DO WE COLLECT THE PICTURES? On each survey dive we bring a GoPro, a slate and a T-stick (a PVC pipe that is 1m long and 0.3m wide and helps us to properly measure the length and width of the turtles). The most important part of the photograph is a direct side profile of the face. We prioritize the cheek area of the face because unlike the fins, shell, or tail, the scales on their face are not likely to change throughout the turtle’s lifetime and the cheek offers an easy, flat surface to photograph. HOW DO WE ANALYZE THE PICTURES? After we photograph a turtle, we use the I3S pattern program to identify it. The computer program is an easy to use photo recognition and pattern identifier that can give you the best result while limiting human error. The process is simple but must be done properly; first you select the tip of the nose, the inner edge of the eye, and the furthest scale as the reference points and then outline the rest of the identification zone. The program will automatically select 35 points within the zone as identification marks. To see exactly how the I3S program works click here. Once this is completed, the program shows which turtles have the closest match based on the identification marks and you can either mark it as a previously identified turtle or a new turtle. The best part of the whole process is naming the turtle! The turtles often have an interesting way of emitting a human-like personality that make them easy and fun to name. While you are with us you can be trained up on the photo ID software and can contribute to our overall knowledge of the individual turtles we see on a daily basis. The Gili Islands are one of the most famous diving hubs of Indonesia. There are over 40 dive centers on all 3 islands taking out hundreds of divers a day. We are very lucky that many dive centers are supporting our turtle identification program by donating their pictures of turtles that they captured throughout the Gili Matra Marine Reserve. Did you make a picture of a turtle on one of your dives around the Gili Islands? Please send it to sharks@gilisharkconservation.com. We will upload your picture into our database and if it hasn’t been identified you have the honor of naming the turtle. If you are interested, we will keep you up to date about the resightings and development of your turtle. WHY IS TURTLE CONSERVATION IMPORTANT? We know the Gilis have a great turtle population so it’s important that we do not take them for granted. 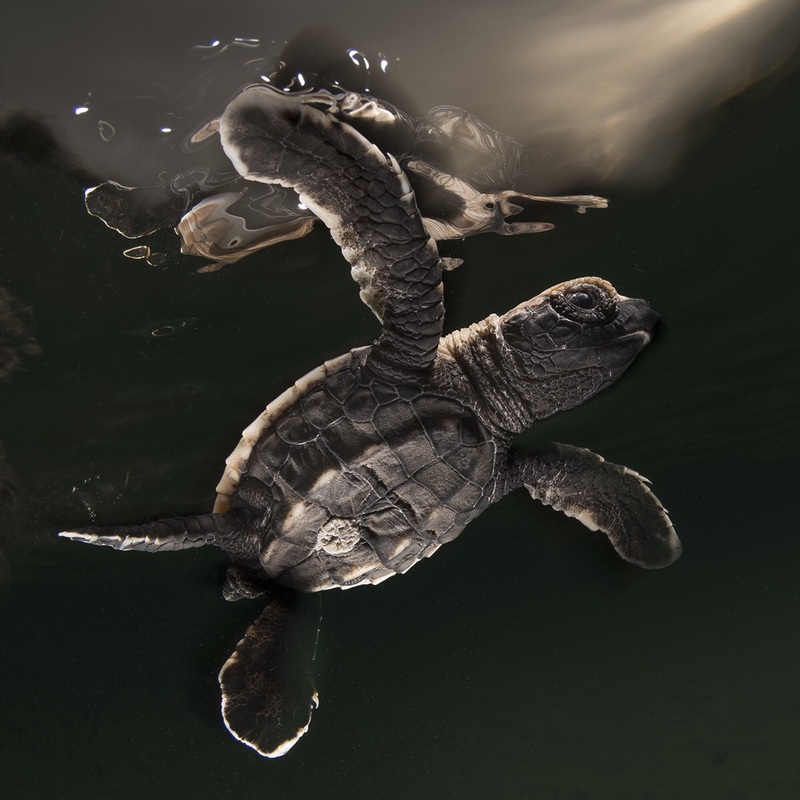 By naming the turtles we can begin to study them more closely, keep track of their health and population dynamics and relate that data to the health of the ecosystem. The identification of individuals within a population and the collection of reliable information on distribution, habitat use, and life history traits are the basic requirement for behavioral and ecological studies of a species. Therefore, this long-term project is designed to provide valuable information to marine biologists around the world to help create better management strategies and educational outlets on the Gili Islands marine mega fauna.